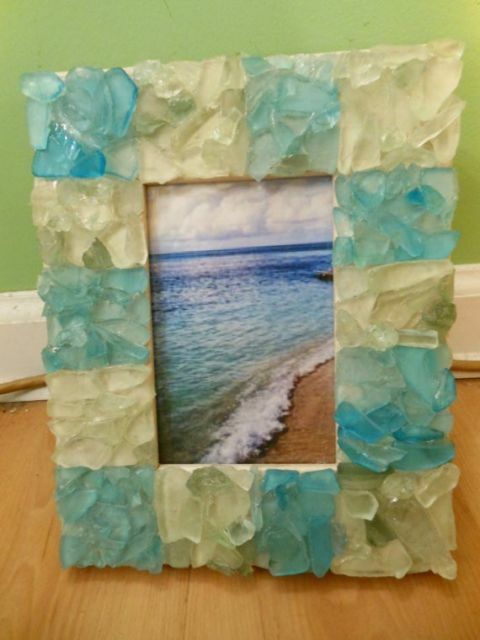 This one of a kind picture frame is covered in light blue and light green sea glass. It is an original Candy’s Cottage design! 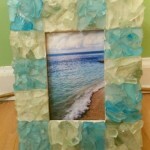 I created blocks of both colors of sea glass to create a simple but unique pattern. It will surely brighten up any room in your home. The picture frame itself is a wood frame with a cream colored finish. The picture size is 3 1/2 by 5 1/2. The whole frame size is 7 1/2 by 9 1/2.